Heading over to a festival is one of the (many) ways we enjoy going out, getting together and having a good time in the Florida Lowcountry. Here are some favorites. There’s serious history behind this Amelia Island festival named for the eight flags that flew over this territory during the last five centuries. We celebrate it all, including the pirates in our past, with parades on land and in the water, the Miss Shrimp Scholarship Pageant, Kids Fun Zone, live music and plenty of shrimp. 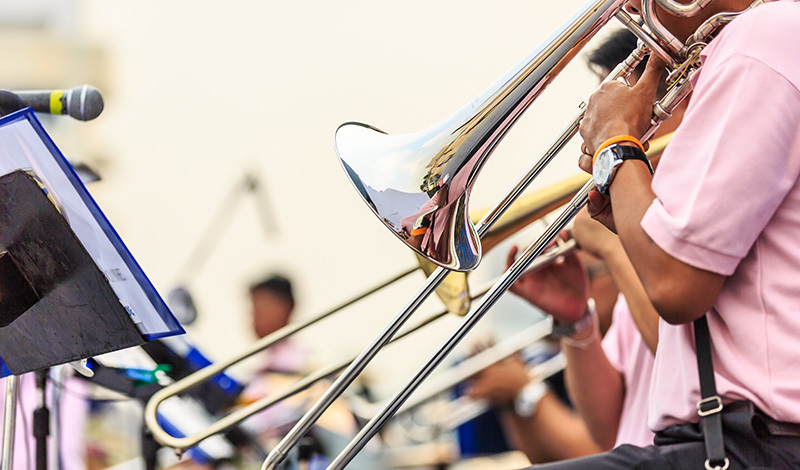 There’s music in the streets on multiple stages when Jacksonville hosts one of the largest jazz festivals in the country during spring. For over 30 years the Jazz Fest has served up great music and a lively vibe. Street vendors, food and drink options, downtown Jacksonville shopping and street fair performances are part of the fun too. Fernandina Beach’s 19th century homes on historic Centre Street provide the perfect backdrop for Victorian-era costumed characters, themed entertainment and performances. Visits from Saint Nick and vendors selling seasonal gifts and wares during this December event are a fun way to get into the holiday spirit! One Sunday afternoon in December, six of Amelia Island’s charming inns and B&Bs deck their halls and serve up some special cookies. Ride a horse-drawn carriage or trolley, or stroll along the route between the houses in the Historic District. Make sure to catch the docent guides who add some flavorful history to accompany those sweet treats.